The Moon Ritual Cardigan are part of Rogue & Wolf's Moon Doll collection. 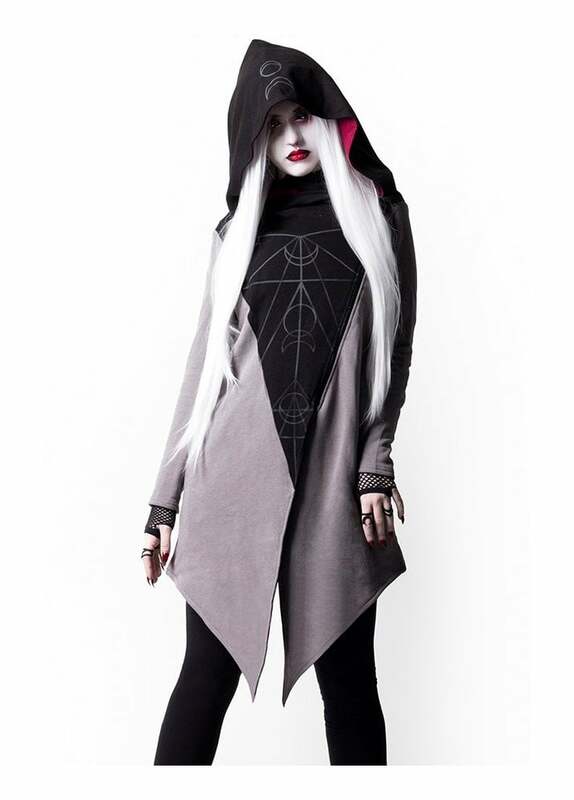 This gothic cardigan has witchy pointed hems with diagonal front zip. In a grey to red ombre design, the oversized hood has a violet coloured lining with moon glyphs print.